Every customer should be concerned about the safety of their fish, including salmon fish. This concern makes sense due to the widespread contamination of marine habitats worldwide. You need to take special care when choosing this type of fish among other species. In this case, “special care” means that you take your time to find high quality fish. It also means that you ask more questions from your local fish seller. Pregnant mothers and young children should be particularly careful because some fish are considered unsafe for them. Find up to date information on this at the U.S Food and Drug Administration (FDA) website (http://www.fda.gov). Salmon contains unique protein and amino acid composition that goes without being noticed. This fish contains peptides (short protein molecules) which are bioactive and are considered to have vital anti-inflammatory properties. 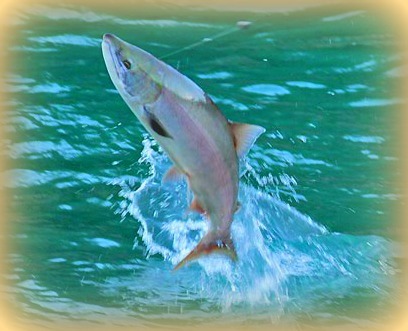 This fish is known to have important amounts of taurine – an antioxidant amino acid. It is also a wonderful source of selenium, vitamin D and vitamin B12, vitamin B6, omega 3 fatty acids, protein, niacin and phosphorus. It is also a rich source of biotin, potassium, choline and pantothenic acid. A lot of focus has been on the benefits of omega 3 that come from fish. Thus some unique health benefits from this fish have completely been overlooked. Recent research has found that this fish contains bioactive peptides. These are small bioactive protein molecules that provide special support in joint cartilage; they control inflammation in digestive tract and also support the effectiveness of insulin in the body. Salmon has unusual omega 3 fatty acids which makes it earn research reputation. Four ounces of boiled or baked salmon have at least 2 grams of omega 3 fats. You need to consume an average diet for several days to obtain the two grams. Half of these fatty acids are eicosapentaenoic acid (EPA) while docosahexaenoic acid (DHA) is provided in a little lower amounts. The amounts of EPA and DHA in this fish are much more than in the common foods. On the contrary, omega 6 fats are available in small amounts. The ratio of omega 3 to omega 6 is roughly 5.5 to 1. To show this practically, 4 ounces will contain 0.5 or less grams of omega 6. According to the food rating system of World’s Healthiest Foods, flaxseeds and walnuts are the only two foods that contain more omega 3 fats than salmon. As much as these are outstanding sources, they cannot equal to this fish since these plant foods provide alphalinolenic acid (ALA) in plenty and not EPA and DHA. Omega 3 fatty acids contained in fish provide health support in many areas of our body. The following stands out among other areas. If you have noticed, salmon is sold in various forms. You can get a fresh one as a whole, steak or in fillet form. You can also get canned, smoked, frozen or dried form. Whichever form you prefer, the wild-caught Alaskan salmon is less likely to be contaminated and hence should be your best option. If this is not available in frozen or fresh form from your local seller, then go for the canned form of this Alaskan type as your second best option. These recommendations are based on research studies that place Alaskan salmon as the top low-risk type for contaminations like organic pollutants and pesticide. Like any other seafood, it is a good practice to buy your fish form a reputable store. These stores are known for their fresh supply. Through smelling you can easily know the freshness of a fish. My advice is that buy displayed fish rather than the packaged one. Reason being you cannot detect bad smell through the plastic package. When storing, always remember to keep it at very low (cold) temperature. Fish and all other seafood are highly susceptible to temperature. It is possible that almost any food can cause allergic reactions. However, research studies associate specific foods with allergies more than others. Allergic problems differ from one country to the other and can change considerably along with the changes in manufacturing practices and food supply. For instance over the past 10 years, sesame seed allergy has rose to levels of great concern in many parts of the world including Israel, Canada and Japan. In the year 2004, the Food Allergen Labeling and Consumer Protection Act (FALCPA) was passed in United States. This Act provides that food labels have to identify the existence of any major food allergens. The Unites States Centers for Disease Control associates 8 food types with 90% food allergies. Thus these food types are the major allergens in United States and must be identified on food labels. These 8 food types are: hen’s eggs, cow milk, wheat, tree nuts, fish, soy foods, crustacean shellfish, and peanuts. These foods cause adverse allergic reactions even when they are not eaten in their pure, isolated form. For example, even though cow milk is usually processed and fermented to make yogurt, cow’s milk yogurt is an allergenic food. Another one is cow’s milk ice cream. The symptoms of food allergy may be instant and specific and may include itching, skin itching, hives or rushes; swelling of the tongue, lips or throat; trouble breathing; and dizziness among others. Food allergy can also be more general and delayed like insomnia, fatigue, depression, chronic bowel problems, and chronic headache. Due to these variations in food allergy symptoms, it is wise to seek advice and help from a healthcare specialist so as to know how your health is affected by food allergies. Purines are naturally occurring substances present in salmon. Purines are usually found in animals, humans and plants. Individuals who are vulnerable to purine related problems should avoid taking excess of these substances because they can cause health problems. When purine is broken down, it can form uric acid. For this reason, excess intake of purines results to excess uric acid in the body. Kidney stones and gout are examples of health problems that are related to uric acid. This results from excess intake of purine food sources. Therefore individuals suffering from gout or kidney stones should limit their intake of foods containing purine.